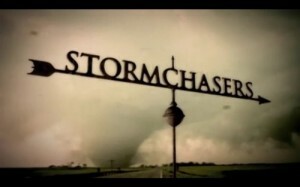 While watching television the other day I saw a couple of spots advertising the upcoming season of the show Storm Chasers on the Discovery Channel. Although I think the producers make the show a little bit more dramatic than the reality that occurs, I still like the show and find it interesting. I love storms and actually wanted to become a meteorologist my entire childhood life, right up until college when I took calculus and decided I’d rather not beat my head against a wall as a profession. I jumped over to StormChasers.com for more info on the season only to find out that the domain does not forward to the show’s landing page, but to the homepage of my childhood idol, storm chaser Warren Faidley (who also owns StormChaser.com). As far as storm chasers go, Warren Faidley is the real deal. The guy’s been chasing severe weather since 1987, well before storm chasing became popular. Originally, I saw this as an opportunity to call out the Discovery Channel for not investing in a domain that would be sure to drive targeted traffic to their site. Obviously StormChasers.com was not listed for sale so I decided to email Warren to find out how much it would cost for him to give it up. I was up front with my intentions and informed him that I was not from the Discovery Channel but just a lowly domain blogger looking for some info. He was kind enough to reply to several of my emails and what I soon realized was that this wasn’t just a guy who knows storms, but a guy who knows business, internet marketing, and the importance of a great domain name. Below are the questions and answers that transpired from several emails. CW: As we know, the Discovery Channel has a television show called ‘Storm Chasers’ but they don’t own StormChasers.com and I believe that really hurts their internet presence as they are not receiving the direct type-in traffic. 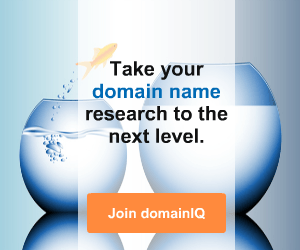 If you wouldn’t mind providing me a little information about that domain for my research, I’d really appreciate it. Do you know how much traffic it receives? WF: Yes, the stormchaser.com and stormchasers.com domains have been a gold mine for me. I get a ton of traffic from the show, although it is not intentional. We also get a lot of storm tour and image traffic, etc. The best part is having the trademark to back up the names. CW: Because you own the trademark, does that mean that Discovery had to receive permission from you to use the Storm Chasers name for the show? WF: Storm chasers did not have to get permission for the show, since my trademark protection only covers the specific use as outlined by the mark. (Selling videos and images, etc., and consulting under that name). I have an attorney who keeps an eye on them to make sure they don’t cross the line. The show actually makes the mark stronger by showing the generic use is a separate entity. CW: Would you ever consider selling the name or names? And if so what’s the number that you would need to give them up? WF: As for selling the name, it’s my occupation and I’d have to make enough on the sale to support me since I would have to surrender the trademark and both names. In other words, someone else would become “the Storm Chaser.” I had an investment firm in Hong Kong (of all places) offer me over $500,000 in 2008, but I turned him down without even thinking. Someday I will likely offer both names and the trademark as a package, but I’d have to get a big wad of cash that would support me for at least the next 30-40 years. CW: It sounds like you really understand the value of a quality domain and realize how vital it is in running a business. I have one final question for you. Do you feel that owning the domain names StormChaser.com and StormChasers.com have been vital to your success? WF: Yes, the names are 100% of my business because they cover so many aspects of storm chasing (footage sales, tours, speaking engagements, etc.) It’s also nice to intercept the traffic from (the show) Stormchasers! I have to tell you, when I registered them many years ago (along with some other big names), I just about fell out of my seat when I found they were open. I have them in my will to be locked up for 20+ years. After this question and answer session, I was a bit taken back. Most of the people and companies I consult with on the importance of a quality domain just don’t seem to grasp the concept…this is a guy who clearly does. Its a little refreshing to be honest with you. Warren registered the names back in 1996 and 1997 (both after the hit movie Twister was released in 1996, imagine that) so clearly he had the presence of mind to see the internet as a great marketing tool for his business, which includes severe storms photography, videography, and books. He also founded WeatherStock.com, a stock photography website for weather and storm related photos. 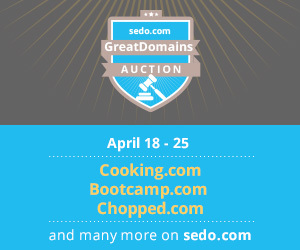 While half a million dollars seems like an outrageous number to turn down, we have to remember that these domains are the key to his business. If, for example, the business from a domain name nets $80,000/year, that $500,000 is covered in just over 6 years time. Warren is in it for the long run and is an excellent example of what a savvy business person can do with the right domain name. Warren is based out of Tucson, AZ and if you want to see some pretty incredible photographs from his work please check out his site. Now I just need to get him to swing by Phoenix to pick me up the next time he’s headed to Tornado Alley. Image courtesy of Discovery Channel. 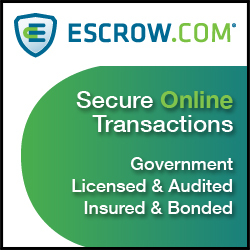 This website, domain names (stormchaser.com and stormchaser.com), trademarks and related stormchaser.com branding is for sale. 5.6 million. I think we are seeing an interesting dynamic that is probably not well understood by domain bloggers. So that annual income in perpetuity becomes the base value of the domain. If a large company wants to buy that domain, they need to replace that annual income, plus whatever premium the owner wants. 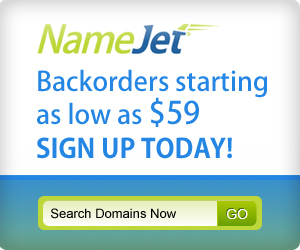 Johnny, This is exactly why I brought up that point, because I was just waiting to hear the cries of ‘This guy is insane for not selling THAT domain at THAT price’…The domain in this case is a major factor in a business and that needs to be taken into account…its no different than HomeDepot.com, PetSmart.com, etc. I just threw 80k out there as an example but I would assume Warren does better than that. 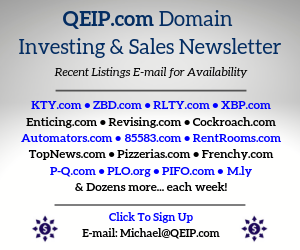 Warren just emailed me with some pretty fascinating information…turns out he’s much more of a domain investor than anyone could have imagined…I’ll do a post tomorrow with some of the domains he’s sold in the past as well as some that he currently still owns.